In the competitive industry, SaaS vendors should ensure that the demand for their software continues by implementing APIs to their software. With time, the enterprise software has seen many developments in the way it is built, distributed, and utilised. Ever since high-tech businesses ran their software on their own systems to today’s cloud-based solutions that focus on enhancing the user’s experience cost-effectively – the industry has come a long way. In fact, the software and service providers of today do open business by using Software as a Service (SaaS) as one of their primary software distribution models. The SaaS tools work in a similar way to a rental service where enterprises can plugin and subscribe to products or services built on shared infrastructure on the internet. The service model works in a straightforward manner where the user can pay a nominal subscription fee and use the software for a specified period of time. According to Gartner, the popularity of SaaS tools will continue to rise through the year with a 20 per cent compound annual growth rate. Other data shows that the SaaS industry is thriving and can be worth around $132.57 billion by the year 2020. 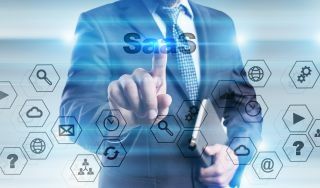 However, in the competitive industry, SaaS vendors should ensure that the demand for their software continues by implementing application-programming interfaces (APIs) to their software. The API is defined as a particular set of rules that software programs follow to communicate and interact with each other. It serves as an interface between different applications and governs their collaboration. A public or an open API based SaaS allows third-party developers to conveniently use the code and data from the software and even integrate other programs with the original SaaS model. For example, take a look at your mobile phones. The cell phones that we are so accustomed to are one of the biggest benefactors of API. This is primarily because our mobile phones are equipped with millions of apps that not only offer entertainment, but also aid in communication, education, task management, and several day-to-day tasks. According to a report by comScore, a mobile user’s majority of digital media time is spent on mobile apps. Additionally, an average user makes use of approximately nine apps per day. Today, developers from all over the world have the privilege to showcase their talents in the form of apps in the App Store. But do you ever wonder that if the Apple company didn’t make their App Store public, would we be able to download such variety in their database? Since the makers of the iPhone opened their doors to developers from all over the world – we are able to see some awesome apps in the app store. This is just one example of a public API based SaaS. In this article, we highlight the four top reasons why you should implement a public API in your SaaS tool. We are all familiar with the messenger app Slack, which allows teams to collaborate with each other on a single platform. Although there are many similar featured apps in the market, Slack shines out from the rest due to a large number of APIs integrated with the platform. Twitter, Trello, Google Hangouts, and Conversely are just some of the integrations currently available within the Slack directory. The openness to integrate other apps within Slack has made the tool more functional and convenient for teams all over the world. Increasing functionality is never a bad move. In fact, developers are continuously looking for ways to improve the functionality of their software to increase their ROI. Having an open API based SaaS tool will add value to your current offerings and attract more attention to the users as well as developers. Most businesses create products to solve a particular problem the consumer is facing. However, sometimes your product alone is unable to resolve the issues that are addressed by the users. The solution – open up and allow other product creators to integrate with your current product. Not only will you be able to retain more users but also increase their overall satisfaction. Take the example of websites. Creating one was a challenge for many of us when the era of the internet started. However, content management systems such as WordPress made the task hassle-free by providing us with an easy-to-use platform. Today, WordPress powers more than 30 per cent of the internet and offers us solutions in the form of countless plugins and themes. WordPress is an excellent example of an open API that not only integrates third-party software but also allows developers to create new ones. For any business, specifically a small business – continually developing new features and services may be too costly and time consuming. By utilising an open API, other developers can make your product more useful without the added cost. Take the example of Gmail. Once upon a time, Yahoo and Hotmail dominated the email space. However, Gmail took over the email industry due to the many APIs it has integrated with. In fact, more than 22 APIs are collaborated with the leading email service provider making it one of the most used in the market. Let us take Google as an example here. We are all familiar with the search engine which is now the powerhouse of the tech industry. Well, this is primarily because the search engine collaborated with more than 100 APIs to establish authority over other businesses of the industry. In fact, Google was the first brand to have an open API. Another example is that of the e-commerce industry. By using an e-commerce SaaS provider, brands can enhance the customer’s shopping experience by providing them with shopping carts and other essentials. For instance, the API2Cart offers an open API that allows access to more than 30 shopping carts simultaneously. By utilising an open API based SaaS tool, the vendors were able to enhance their functionality and open up more options for the consumers. Is there any downside of using open APIs? Similar to any other software, there are potential security risks involved with opening your code to third parties. Additionally, as a developer, you are required to abide by specific guidelines as listed on the API license. Research thoroughly before committing to using an API. Although the benefits are many, it is better to be aware of the terms and conditions before complying with the company. Open APIs are useful for developers who can utilise complicated software without spending a lot of time, money, and effort on the reinvention. An API based SaaS tool will enable software companies to achieve their growth goals without the need to invest in resources. However, as we mentioned above, it is a good idea to do your homework before diving into the API bandwagon. Although the use of open API is here to stay and has been fruitful for the companies that have implemented it, developers should think twice before initiating the use of third-party APIs.